The annual Inishbofin Island Walking Festival will take place from Friday April 26th to Sunday April 28th. Enjoy a weekend of walking amid stunning Atlantic coast scenery, crystal clear waters, green coast award winning beaches surrounded by rich natural, built and cultural heritage, all in the company of expert, local guides. Online ticket sales now open! 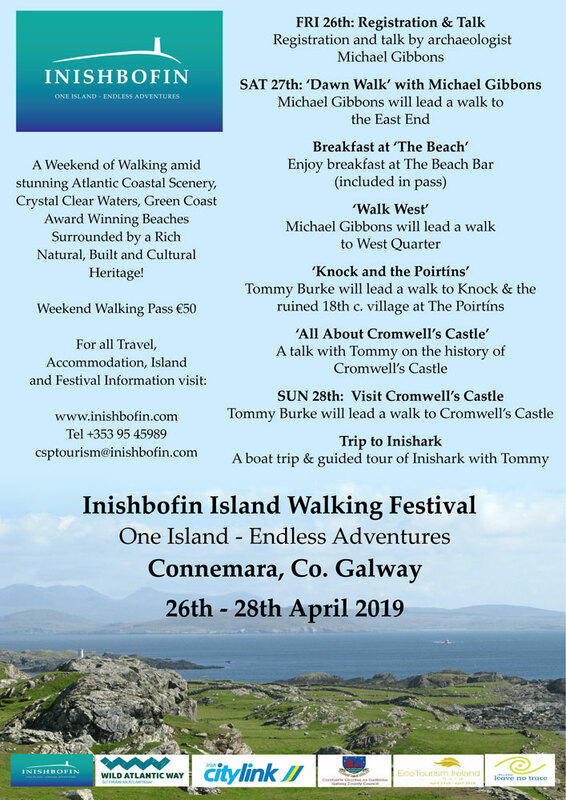 Get yours at: https://www.eventbrite.ie/e/inishbofin-walking-festival-2019-tickets-58116066720.